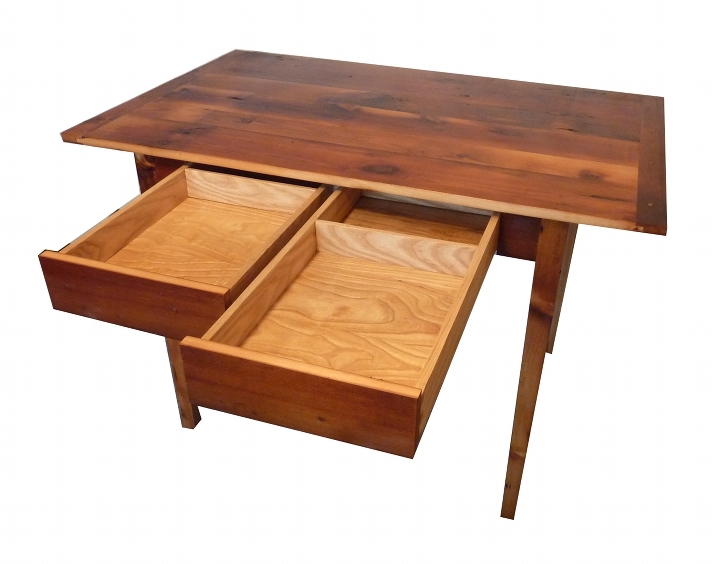 Writing Desk; 46″ x 29 1/4″, 30 1/2″; reclaimed pine barn wood; 2011; Meg Thompson. This desk was made for an art show and sale at the NIC in the fall of 2011. Notice the “secret” drawer behind the main drawer space. I had more folks, men and women, at the show say matter of factly about that space: “Oh right, for your pistol.” Right, Wyomingites, for your pistola. 😉 This piece is sold, but contact me if you are interested in ordering one custom made to your specifications. Love the secret pistol drawer !